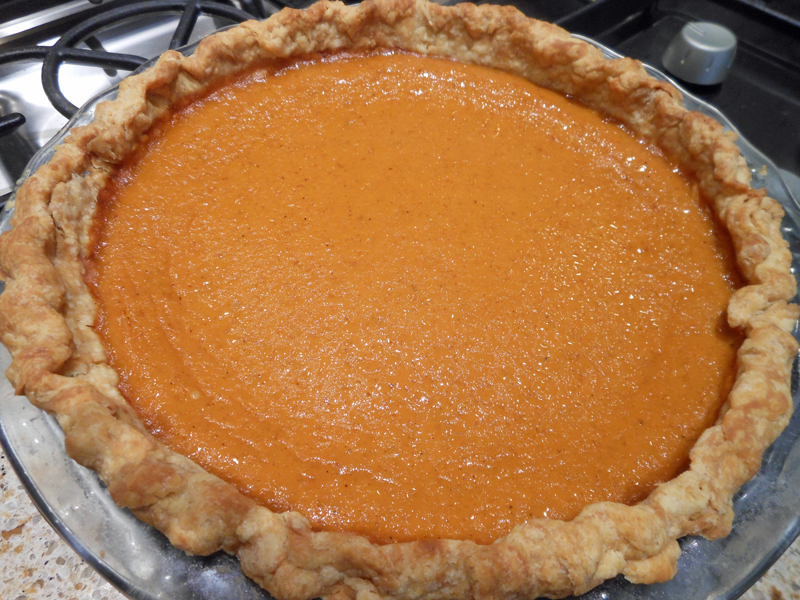 This is the most delicious pumpkin pie I have ever eaten. (And I’m not very fond of pumpkin.) Top this off with a lot of whipped cream and all I can say is “YUM”. Line pie pan with unbaked pie crust and place it on a sheet pan. Line crust with parchment paper. Fill the paper three-quarters full with beans and bake crust for 15 minutes, until edges start to brown. Remove beans and paper (save the beans for another time), prick the crust all over with the tines of a fork, and bake for another 5 minutes. Meanwhile, in a large bowl, whisk together pumpkin, brown sugar, granulated sugar, cinnamon, ginger, nutmeg, salt, eggs, cream, and milk. Pour filling into baked pie shell. Bake for 55 to 65 minutes, until filling is just set in the middle and a knife inserted in the center comes out clean. Set aside to cool completely. Serve with whipped cream.